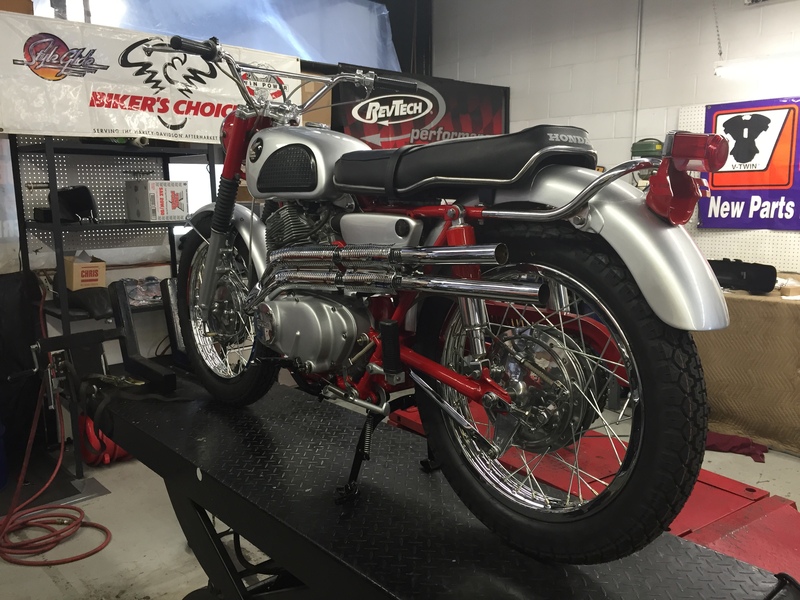 Doc’s Motorcycle Parts of Waterbury Connecticut has delivered it’s completed restoration of a 1966 Honda Scrambler 305 (CL77). The Restoration Job began in February and was finished May 27th. 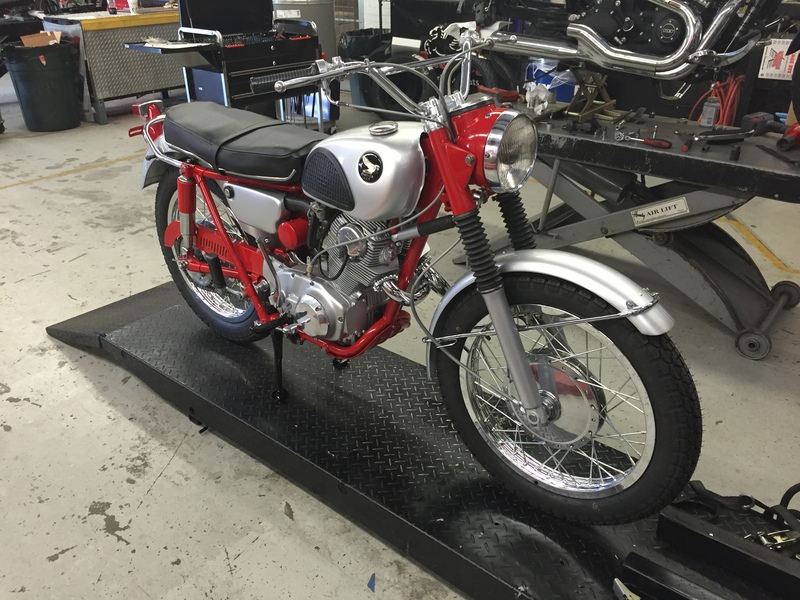 After tear down, paint, polish, chrome, full assembly and a GREAT test ride. 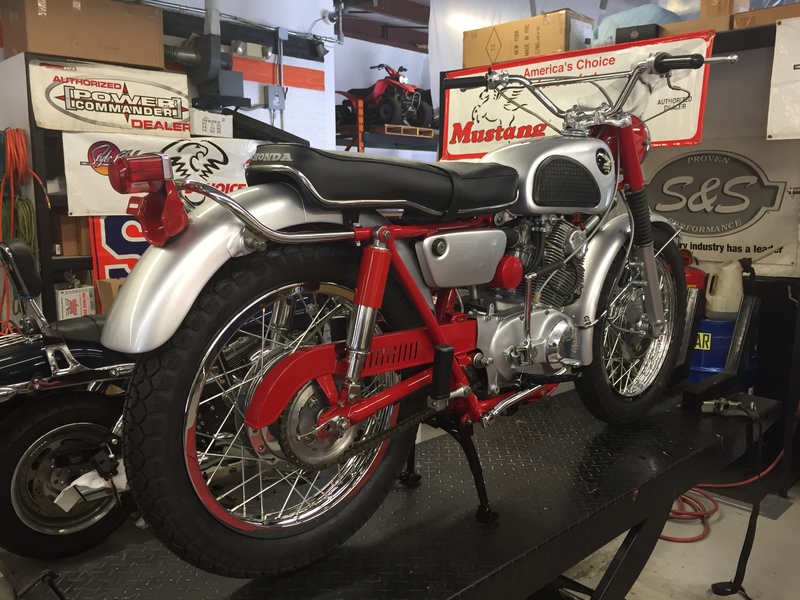 The Scrambler 305 was ready to be delivered. 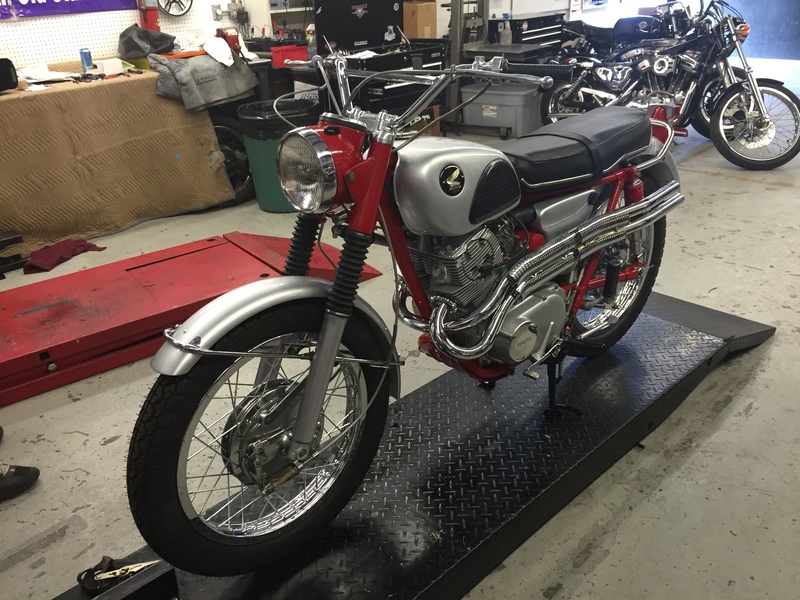 “When Honda entered the U.S. market in 1959, it spent a lot of time and energy expanding the market for motorcycles in the United States, convincing Americans that nice people rode around on two wheels. Honda’s success opened the door for other Japanese manufacturers, who started offering high powered models designed specifically for the American. As interest in offroad riding continued to build, Honda turned its attention to designing lightweight, powerful bikes that would excel in the dirt. The first CL77s were imported into the United States in 1965. 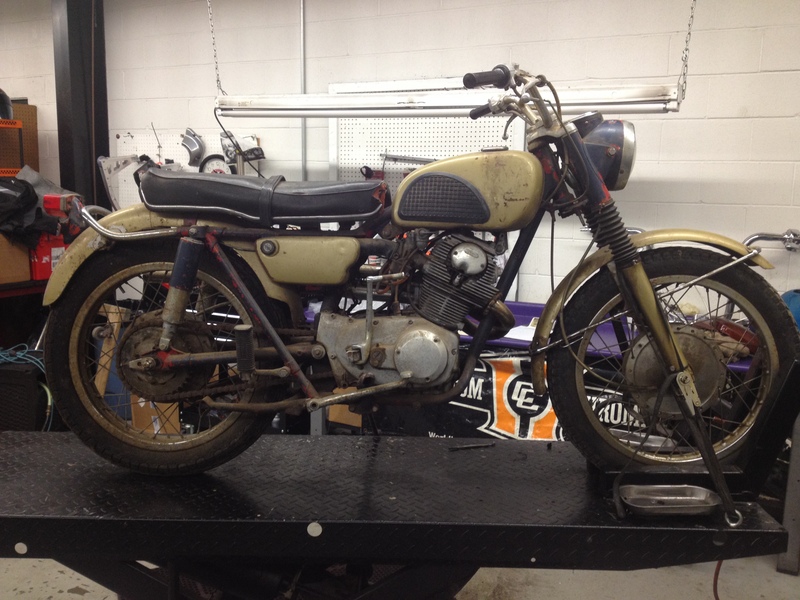 They were a dual-sport version (then known as scramblers) of the CB77 Super Hawk, a 305cc overhead cam parallel twin. The Super Hawk had been on the American market since 1961, two years after Honda had established its import arm in Los Angeles. 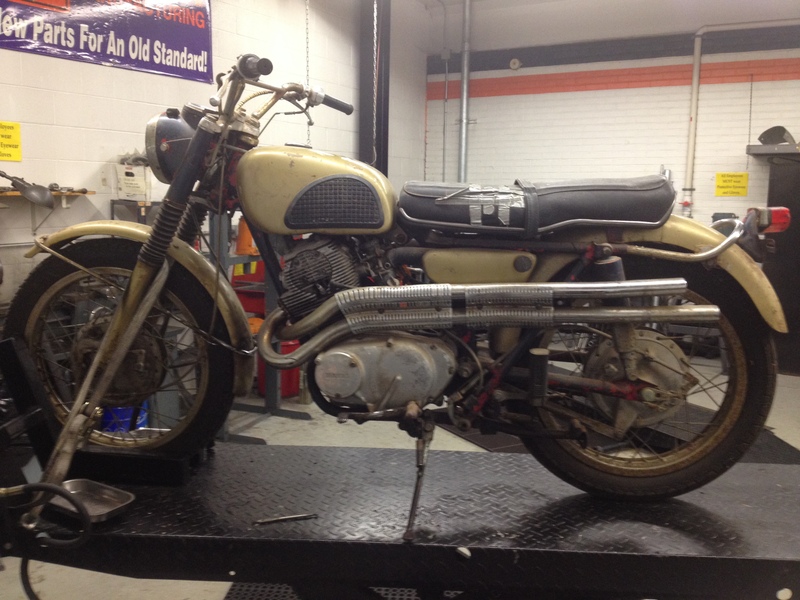 Doc’s Motorcycle Parts in Waterbury Ct, is proud of the job done on this motorcycle restoration. All the hard work paid off with the satisfaction the customer expressed when it was unveiled to him.